Here at Worship Metal we love the putrid taste of black metal. From the genre greats of Bathory, Mayhem, Darkthrone and Emperor right through to the symphonic blasts of Dimmu Borgir and Cradle Of Filth and those carrying the torch into the new millennium, most notably Watain and Carach Angren. While the genre has coughed up all manner of deliciously evil delights over the years, it’s equally fair to say that it’s not to everyone’s taste. Renowned for unintelligibly shrieked vocals, lo-fi production and high-pitched, trebly guitar tones, black metal is often derided for it’s corpse-painted image and reputation for violence and blasphemy but those in the know appreciate its magisterial beauty and authenticity. So, leave your preconceptions at the door, as Worship Metal has selected 8 of the finest black metal albums that are accessible and will act as a gateway to a genre that, understandably, can be an acquired taste. So you think you don’t like black metal? Give these a go….what are you afraid of? Vreid are to black metal as Entombed are to death metal; both bands feasting on raw chunks of bad-tempered, old-school Rock ‘N’ Roll and I Krig is positively stuffed with groove and the dirtiest metal riffs imaginable. The title-track opens with delicate violin before an elusively melodic passage of controlled drumming and strummed guitar adds another layer to Vreid’s considerably varied palette. Don’t panic, some feral black metal blasting soon follows but it’s less abrasive than most, deftly balanced by the beauty that preceded the aggression; an approach this groove-drenched album returns to time and time again. 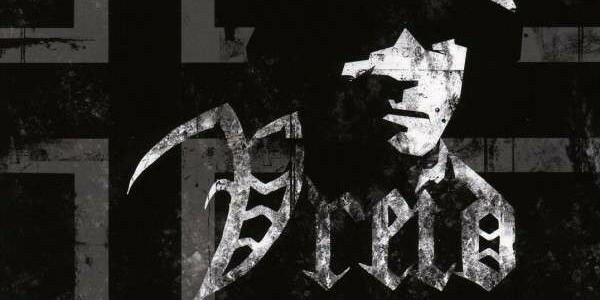 I Krig is black metal for metallers who like meaty riffs they can really sink their teeth in to. So go ahead, take a bite. For fans of Necrophobic, Dissection, Vektor, & Sacramentum! Dimmu Borgir was used on the trailer for the original Hellboy.